Join Team PLANETS for our annual ball and celebrate another year of successful fundraising with us. 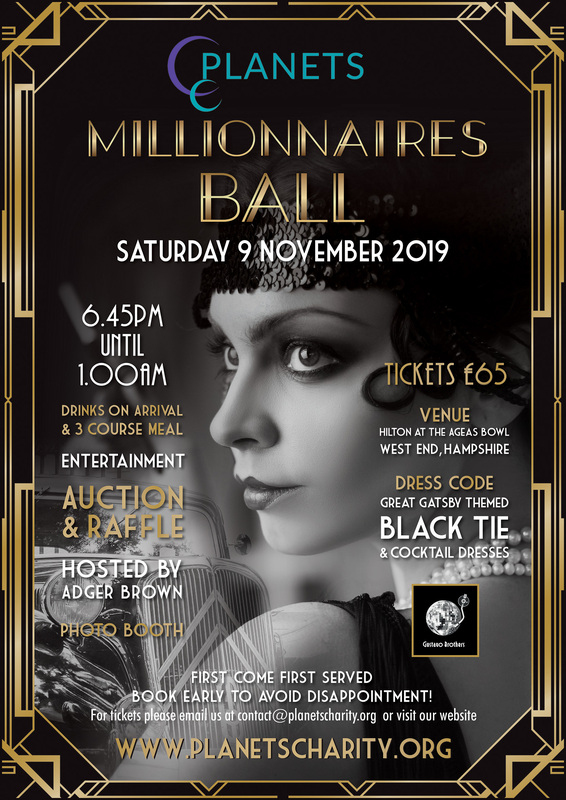 Our theme this year is Great Gatsby glamour so dress to impress and enjoy a fabulous evening of entertainment and frivolity! To purchase tickets, please click on the link.